Im posting this ﻿﻿ Since we sometimes talk about whoopie pies a lot for some reason on Amish Stories, maybe its because they taste so very good. So here’s an event that i have spotted online that i thought some readers would like to check out and maybe visit, and i wanted to post this before Amish Stories takes its break! Whats your favorite whoopie pie flavor? ﻿﻿ The Most Delicious Day in Lancaster County! 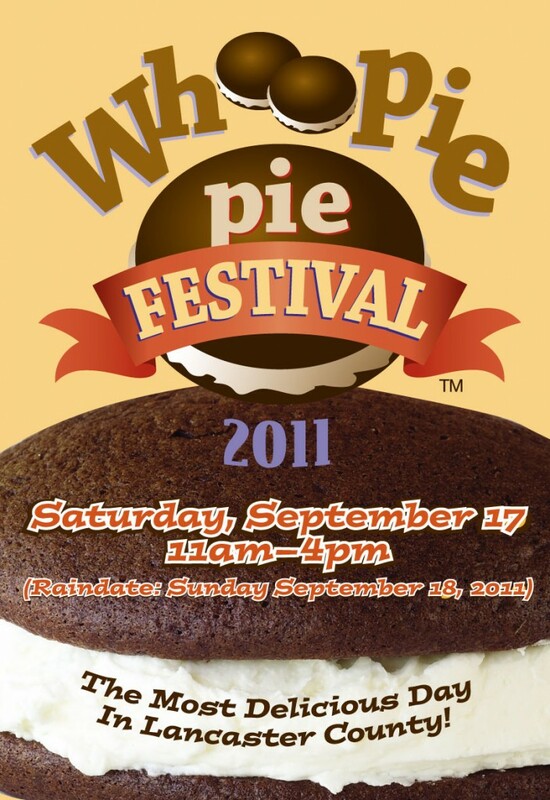 The annual Whoopie Pie Festival features more than 100 different Whoopie Pie flavors and is held at the Hershey Farm Restaurant & Inn, located in the heart of the Pennsylvania Dutch Country. Who can resist rich, creamy icing spread between two soft, delicious cakes? They’ve been a favorite Lancaster County confection for years. And now the Whoopie Pie isn’t just for eating! The whoopie pie wars: never mind fighting "lets just eat these things"
A new and improved post on the recipe for the famous whoopie pie. After spending some time trying to get permission in posting a recipe, the good folks at http://www.marshmallowfluff.com makers of “Marshmallow Fluff” have given me the ok to post their recipes for whoopie pies along with a few pictures of what it should look like when compleated. They have a few recipes so im posting 3 of them. So as the whoopie pie wars continue, we can all let everyone else fight it out, while we eat our home made whoopie pies. And I say “lets make whoopie”, not war. Richard from Amish stories. Heat oven to 350 F. Grease two large cookie sheets and set aside. In a large bowl with mixer at medium speed beat egg and vegetable oil. Gradually beat in sugar and continue beating until pale yellow in color. In another bowl, combine flour, cocoa, baking soda and salt. In a measuring cup combine milk and vanilla. Add flour and milk mixtures alternately to eggs and sugar, beginning and ending with dry ingredients. Drop by tablespoons onto cookie sheet. These will spread a lot, so make 6 cakes per sheet at a time. Bake about 5 minutes or until top springs back when lightly touched with finger. Remove to wire racks to cool. When cool, use filling and two cakes to make sandwiches. Makes 15. In a medium bowl with mixer at medium speed, beat butter and remaining ingredients until light and fluffy. Heat oven to 350 F. Grease two large cookie sheets and set aside. In a large bowl with mixer at medium speed beat egg and vegetable oil. Gradually beat in sugar and continue beating until pale yellow in color. In another bowl, combine flour, cocoa, baking soda and salt. In a measuring cup combine milk and vanilla. Add flour and milk mixtures alternately to eggs and sugar, beginning and ending with dry ingredients. Let sit 10 minutes. Drop by tablespoons onto cookie sheet. These will spread a lot, so make 6 cakes per sheet at a time. Bake about 5 minutes or until top springs back when lightly touched with finger. Remove to wire racks to cool. When cool, use filling and two cakes to make sandwiches. Makes 15. Bring butter to room temperature. In a medium bowl with mixer at low speed, beat butter and remaining ingredients until light and fluffy. Heat oven to 350 F. Grease two large cookie sheets and set aside. In a large bowl with mixer at low speed beat eggs, sugar & pumpkin until mixed. Mix in oil. Gradually beat in remaining dry ingredients. Drop by rounded tablespoons onto cookie sheets. Bake about 10-12 minutes or until top springs back when lightly touched with finger. Remove to wire racks to cool. When cool, use filling and two cakes to make sandwiches. Makes about 22. Bring butter to room temperature. In a medium bowl with mixer at low speed, beat butter and cream cheese until mixed. Beat in Marshmallow Fluff. Add confections sugar until mixed.